Generating traffic for your website is important but recurring visits and maintaining an engaged audience is equally important. We developed three hacks for you, to help you keep your online audience adequately engaged. This will help you gather the necessary data that will help you improve your business or brand. Everyone loves reading wonderfully inspiring content, so each business needs to invest a lot of time and prudence while creating their web content. Content is the online face of the business and has to attract interest and trust in the service, product or brand provided. To achieve this, make sure to add attractive visuals to the website. Researchers say that people get attracted to visuals first when they visit any site, which creates the first impression. For instance, YouTube gathers more than 1 billion visitors every month, thanks to all the videos. Infographics help simplify complex information so that people can understand it easily. Platforms such as CarbonMade, Dripbook, Powtoon, and WeVideo will help you upload your visuals to your website. The love for freebies is deeply rooted in our DNA. Offer free things such as ebooks, slide presentations, apps, research materials or white papers for site visitors. This will depend on your business’ niche, but all the same, these people will love you and have a positive attitude towards your services, products or messages. Social media is one of the most effective marketing tactics in the contemporary business world. Having the most influential personalities share your content on these platforms will be a big plus for your business. You can catch their attention by finding out what they love, tagging them and then posting it. People are quite skeptical while doing business online, so you need to give your website a human touch in order to make visitors comfortable. This is achievable by telling them your story and letting them know that the site represents a real human being. For instance, you can create a company profile in the form of a video, showing the role of each team player, their likes and where they come from. Avoid putting the products or services you offer anywhere in the video so that it is purely personal and has less to do with business. 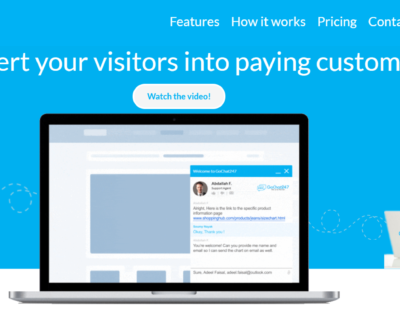 This will make site visitors feel connected with your business, in terms of where some of the employees come from or their likes. This is one of the best approaches, as it gives your customers the chance to engage with you directly. The kind of data a business can gather from these sessions is invaluable and raw. This can be in the form of text, audio or video chats. One of the most important ones is having a live chat widget on the website with covering 24/7 support by chat agents. 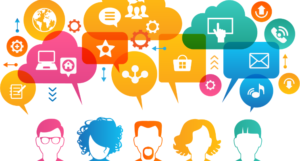 It can significantly boost engagement by proactive conversation with the visitors on the website. According to Mark Luckie, Twitter’s Journalism Manager, newsrooms that chat live on Twitter have a better audience engagement and more followers. Mark says that he has seen political reporters around the world come up with a huge number of followers during elections only. This is because they keep fact-checking on live chats, in which the general public has a keen interest. Platforms such as LinkedIn, Facebook, Own Comment Facility, Liveblog, Quora, and Reddit are some of the most effective avenues for running live Q&A chats. They help in creating and maintaining audiences, especially for newsrooms, journalists, and brands. Video chats also provide a great way of engaging your audience. For instance, scheduling a Skype chat with potential or current clients could go a long way in promoting, improving and growing a business. A personal relationship with clients also takes root, making them stay comfortable. Making and answering phone calls to follow up or answer client queries also keeps them engaged with the business on a personal level. These three tips will help you create a killer website in terms of audience engagement. All the same, it is important for you to keep updating it according to market and technological shifts, keeping it relevant and drawing traffic. GoChat247 specializes in providing fully managed customer service platforms enhancing your engagement, resolving queries, boosting sales and converting your visitors into loyal customers! Experience this exciting service by real chat agents on your website at absolutely no cost. No credit card required. No commitment required. Just a quick signup to get you started! 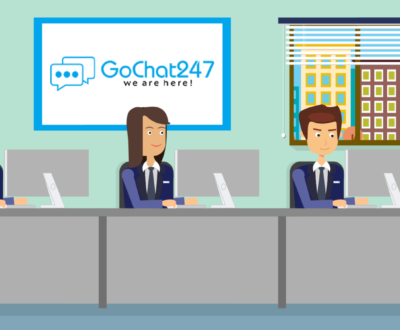 At GoChat247 we tailor our solutions to your business needs. Tell us more about your business and the kind of customer support you need and we will prepare a customized service proposal for you.